In between the Easter madness we take time out for a quick lunch at The Undertaker - so named as the building in a previous life had been a funeral parlour. 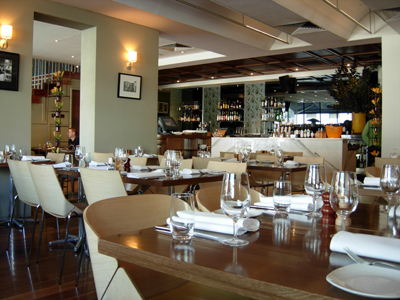 After a multi-million dollar renovation in 2005, it's now a four level multi-function venue with cocktail lounge, restaurant and wine bar, lounge bar and private dining room. This is the ground-floor restaurant and wine bar where we had lunch. 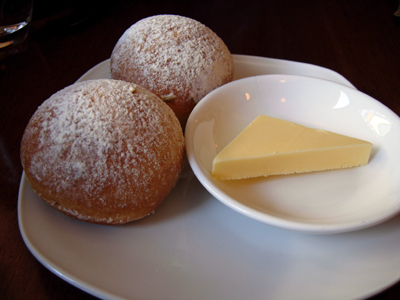 The bread rolls look like donuts and are served warm - lightly flecked with caraway seed they are soft chewy and delicious. 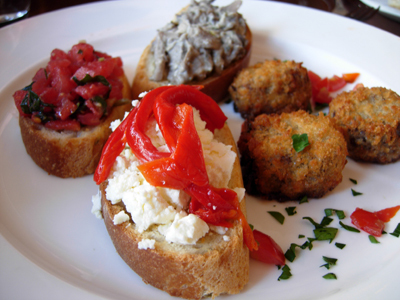 Served on one plate but they are two separate menu items: to the left are a Trio of Bruschetta (roasted red pepper and fetta, tomato and basil and creamy mushroom) and to the right are 3 beef cheek and bone marrow croquettes (wonderfully rich and a treat to eat). 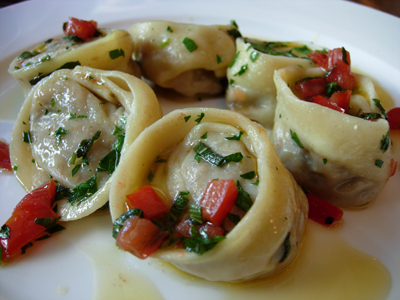 I have the White Veal Tortellini with Beurre noisette - very hearty and I would find it extremely difficult to actually have this dish as a main. The Beurre noisette hadn't quite achieved the "noisette" characteristics. 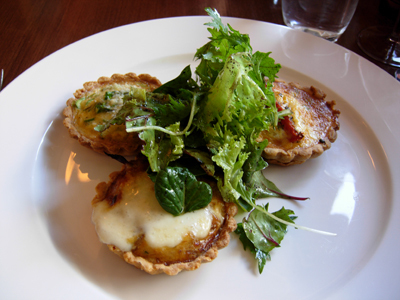 comprising of a caramelised leek and taleggio tart (the standout), asparagus tart and roasted tomato tart. 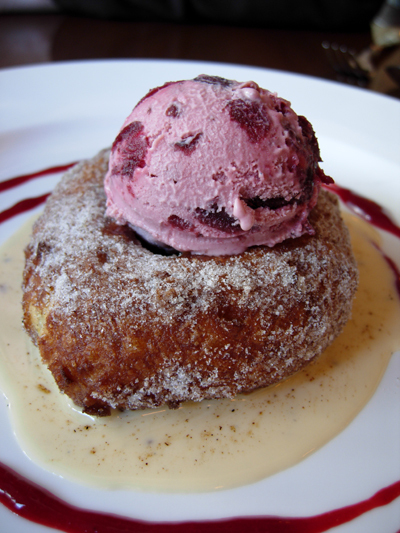 Italian Donut with cherry ice cream on Crème anglaise- the donut takes about 10-15 minutes, a welcome pause especially for me. Light and lovely - the ice cream heavily studded with sour cherries - I would come back to have one to myself!